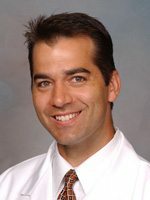 Dr. Robert D. Strang is a board certified Neurosurgeon affiliated with CoxHealth in Springfield, MO. Dr. Robert Strang received both his undergraduate and medical degrees from the University of Kansas. Staying true to his Jayhawk roots, Dr. Strang remained at KU to complete his six year neurosurgery residency. Following residency, Dr. Strang attended the University of Arkansas for Medical Sciences, where, under the direction of Dr. Ossama Al-Mefty, he completed a one year fellowship in Skull Base Surgery. Dr. Strang joined Springfield Neurological and Spine Institute in 2002. Dr. Strang has served as a Clinical Instructor of Neurosurgery at the University of Arkansas for Medical Sciences, an Assistant Professor of Neurosurgery at the University of Kansas Medical Center, and currently as an Associate Professor of Neurosurgery at the University of Missouri. In 2005, Dr. Strang obtained his Board Certification from the American Board of Neurological Surgery and remains in good standing. Dr. Strang has specified clinical interests in skull base surgery.